Blulink’s process management software will allow Marposs to package metrology, systems information into Industry 4.0 packages. 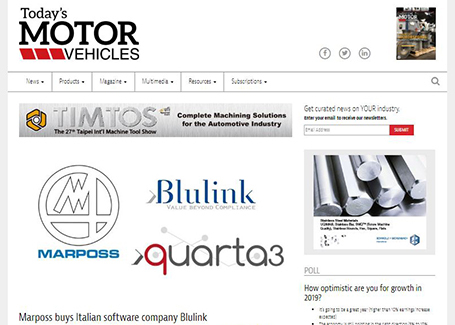 Auburn Hills, Michigan, Oct. 8, 2018 – Metrology technology company Marposs has purchases Reggio Emilia, Italy-based software company Blulink, a specialist in quality control and process management software development. 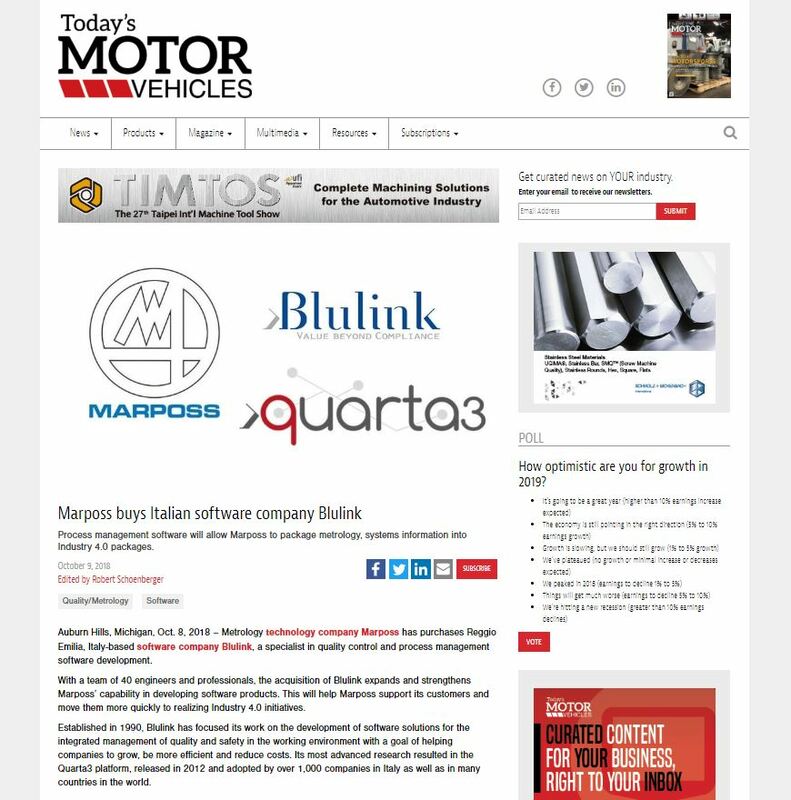 With a team of 40 engineers and professionals, the acquisition of Blulink expands and strengthens Marposs’ capability in developing software products. This will help Marposs support its customers and move them more quickly to realizing Industry 4.0 initiatives. Established in 1990, Blulink has focused its work on the development of software solutions for the integrated management of quality and safety in the working environment with a goal of helping companies to grow, be more efficient and reduce costs. Its most advanced research resulted in the Quarta3 platform, released in 2012 and adopted by over 1,000 companies in Italy as well as in many countries in the world.